My Grandfather passed away while I've been serving in Palau, it's been hard. It was my last semester of my senior year in college, two years ago, when I decided to apply for a two year contract as a missionary teacher in the island of Palau. I knew it would be a big commitment and in a way, it seemed scary, however once I arrived to Palau in the fall of 2017, it felt completely right. I had arrived to my new home for the next two years. My first year in Palau was amazing! I got to meet so many students and bond while teaching the high school foreign students English. One year actually flew by! Knowing I would get the chance to return and complete a second year brought me peace as I enjoyed my summer vacation with my family in the United States. 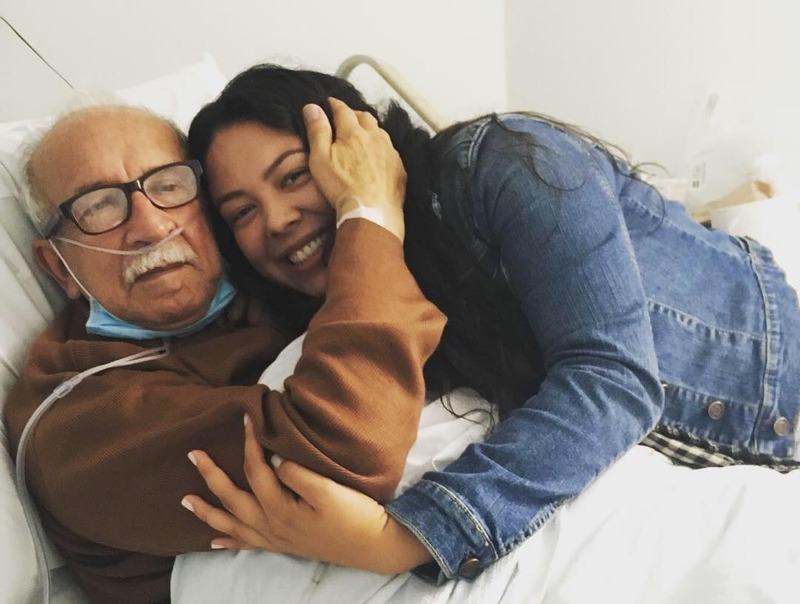 As the summer began to come to an end and I began to pack my bags to return to Palau, I received news of my grandfather in Colombia, he had been admitted to the ER, not his first time during the past 12 months. This time, it seemed pretty serious, and I knew that still having a few more days off, I needed to go visit him, perhaps for my last time, before going back to my island of Palau. I praise God for having given me this opportunity to go see him for a few days, spend some quality time even if it was in a hospital. This event made it very difficult for me to leave to Palau, I arrived my second time with a bit of a heavy heart and full of worry for my grandfather, every day was full of uncertainty and pain. I knew that despite of this pain and desire to be with my grandfather in such a difficult moment, God had still called me to be in Palau and minister to my students, so I had to sooner or later, get my head back in the game and be fully present for my kids, loving and teaching them the way they deserved. The weeks went by and even the months and somehow my thoughts were no longer consumed by worries regarding my grandpa's health, perhaps I even began to believe he would recover once more and I would be able to visit him the following summer once leaving Palau. This naive idea was crushed suddenly one Friday evening when I received an unexpected phone call from my mother, she called to let me know my grandfather had passed away just a few hours ago. In that very instant I felt my world collapse, that evening ended up being a sleepless night full of tears and loneliness. Even now, exactly two months later, I still cannot find words to describe my feelings, all I can say is I had never experienced such pain before. Of course I had the peace of knowing he was now resting, no more pain and suffering, but somehow the end of his suffering became the beginning of mine. For the most part, my whole family seemed to be at peace and dealt with the situation pretty well. I think going through the loss of a loved one when you are on the other side of the world and have no chance to be with family through such moments, makes it that much more difficult. Doubts flooded my mind, denials and anger were but a few of the things that went through my mind in the days that followed. Sooner or later I had to accept I would not be able to attend my grandfather's funeral and that my task at hand was still present. My number one worry was that I would not be able to continue to be that passionate, loving, all-present-teacher I was before this. I knew my students deserved nothing less than that, but my heart was so heavy with pain I could not see an end to this. And it was in that very moment that God came through for me; my fellow missionaries, principal and his wife, church members, students and friends from home, all provided such a warm support in all forms. Their hugs,patience, prayers and words of encouragement, all helped to begin a healing process, and I began to see the light. Little by little God walked me back to my old self, and I was able to return to work and teach once more. Seeing my students faces, their smiles and hugs, was a balm to my soul. It made me realize that perhaps I may have wanted to not be in Palau during such a tragic moment in my life,but it was the very best place where God knew I needed to be, because through my pain He had already provided the help and healing I needed. I came here to serve and teach, yet it was my very own students the ones who served and taught me. I came to Palau to teach my students about Jesus' love and redemption, and it was them who showed me His love when I needed it the most. I have learned that it is in the most difficult and painful moments, when we feel the farthest from God, when He will manifest Himself to us in ways we expect them the least. I am forever grateful for my life in Palau, and though I terribly miss my grandfather and I still cannot get used to the idea of him being gone, I am able to live one day at a time and find big and little blessings in this beautiful island as I hold to God's promise in Psalm 71:20, where it says "You shall revive me again, and bring me up again from the depths of the earth". I am an ESL teacher at Palau Mission Academy because I am passionate about teaching and helping others learn English.